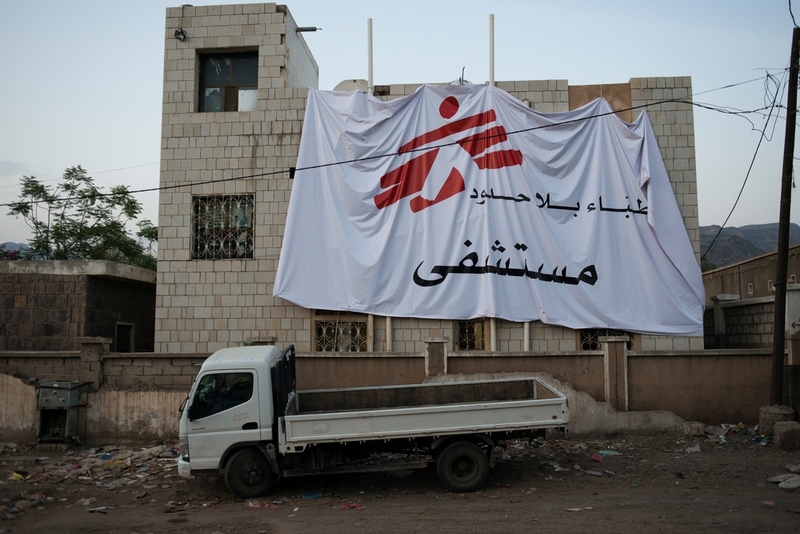 Amsterdam/ Sanaa - The staff house of the international medical humanitarian organisation Médecins Sans Frontières/Doctors Without Borders (MSF) in Ad Dhale governorate, southern Yemen, was targeted with explosives on Monday evening, 1 October 2018. This was the second attack against the MSF house in less than a week. MSF strongly condemns the attacks on our compound and staff. Due to the severity of these attacks and the clear lack of safety for the team working there, the organisation has been forced to withdraw its staff from Ad Dhale and suspend its medical programmes until further notice. MSF is one of the few medical organisations delivering humanitarian assistance to the community in Ad Dhale. These attacks will deprive thousands of Yemenis of much needed humanitarian and medical assistance. Targeting the civilian population and humanitarian actors is prohibited under the international humanitarian law at all times and deprives the population of humanitarian assistance. MSF calls on all warring parties, armed groups and individuals to respect and ensure the protection of humanitarian and health workers in Yemen. MSF remain committed to supporting the Yemeni people and currently operates 15 hospitals and health centres in Yemen and provides support to more than 16 hospitals or health centres across 12 governorates.